The term ‘Sensory Processing’ refers to our ability to take in information through our senses (touch, movement, smell, taste, sight, hearing, balance) organize and interpret that information and make a meaningful response.The seven senses are fundamental to a child’s ability to learn & function in any environment. Sensory processing from the seven senses is highly specific BUT also interdependent, each sensation is affected by each other. The Central Nervous System functions as interactive whole as one part of the system biases another. For example, hypersentsivitiy in one sensory system can bias the whole system towards hypersensitivty. There are several dimensions to the sensory integration system. The tactile system, which is the portion that processes stimuli in the form of touch, has two levels. The first is discrimination, which allows a child to determine where the touch occurs on the body and what is touching the body. The second level alerts the child’s central nervous system and tells it when the body is in contact with danger. This second level is sometimes called the “ fight or flight” response. These two levels must work harmoniously as they are important for the interpretation of information and for survival. Dysfunction at either of these levels is called tactile defensiveness and can manifest itself in the following ways: difficulty with fine motor tasks such as letter formation (writing) or articulating sounds; being touched by others; dislike for the texture of clothing; dislike of the texture or flavor of certain foods; overactivity or underactivity; dislike of “dirty” hands; a high tolerance for pain; the need to touch another person or object constantly. Another important dimension of the central nervous system is the vestibular system. This system involves the body’s sense of movement and gravity or the relationship between one’s own body and the earth, i.e., what way is up, down, left, right, horizontal, vertical, etc., and where is the body in relationship to other objects such as a ball, the sidewalk, or stairs. This system also tells the body whether or not it is moving, how fast it is moving and in what direction it is moving. The vestibular system is responsible for the development of eye movements to track objects (words on page, a ball in the air); movement of body parts in unison; bilateral coordination (the ability to use both sides of the body for activities such as hopping, jumping, catching); and development of right or left handedness. Dysfunction in this system may maniferst itself in poor physical coordination; poor memory (due to difficulty with auditory processing, or receiving and understanding auditory stimuli as it is transmitted to the brain); difficulty with sequencing and timing (understanding the steps required to perform a certain action); and difficulty with understanding language, especially nonverbal social language (body language of self and others). Children with dysfunction in this dimension often need to move their bodies in order to be able to listen and understand when directions are being given or new information is being introduced. A child with vestibular dysfunction may experience gravitational insecurity when on surfaces such as gravel, textured cement or metal grates. The child may have exaggerated emotional reactions or behaviors when confronted with ordinary stimuli. The last of the three dimensions is the proprioceptive system. Through this system the child receives information from the muscles, joints, and tendons telling the body where it or the particular body part is at any given moment. A typically developing child begins to demonstrate praxis, or the ability to take in sensory information and organize, plan and execute physical responses, at around 7 to 8 months of age. 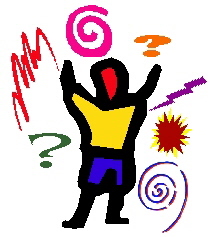 These abilities include: imitation (through vocalizations, facial expressions, and body movements such as sticking out one’s tongue); initiation (beginning an activity that requires a physical response); construction (the ability to put objects together or organize them in different ways or remember supplies that are needed for a task); feedback (creation of muscle “memory”); grading (the ability to vary the intensity of one’s motor response); timing and sequencing (performing motor responses in the correct order, at the right time and without stopping); and motor planning (the ability to create, use and combine motor skills to perform new and more complex tasks with practice). Children who have difficulty with one or more of these aspects of praxis often appear to be clumsy, accident prone or uncoordinated.